Mr. Ghazi Abu Nahl delivers Opening Address at “The Belt and Road” Forum, Xiamen. Mr. Ghazi Abunahl, Chairman Emeritus of World Trade Centers Association opened the official part of the “The Belt and Road” Forum which took place on September 19th, 2017, at the Xiamen International Convention and Exhibition Centre. During his opening address Mr Abunahl detailed how World Trade Centers around the world can, and do support the “Belt and Road” initiative by building an open worldwide cooperation platform and a stronger partnership network. The forum attracted delegations of business people from across the world, and included a multitude of panel discussions involving participation by heads of state and government. 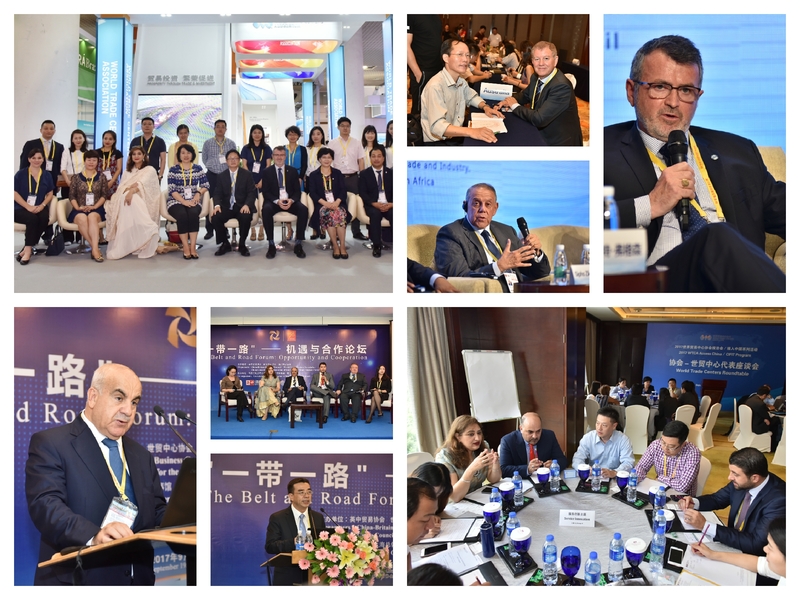 “The Belt and Road” Forum: Opportunity and Cooperation”, was organised by the China-Britain Business Council, World Trade Centers Association and the China Council for the Promotion of International Trade Xiamen Committee.